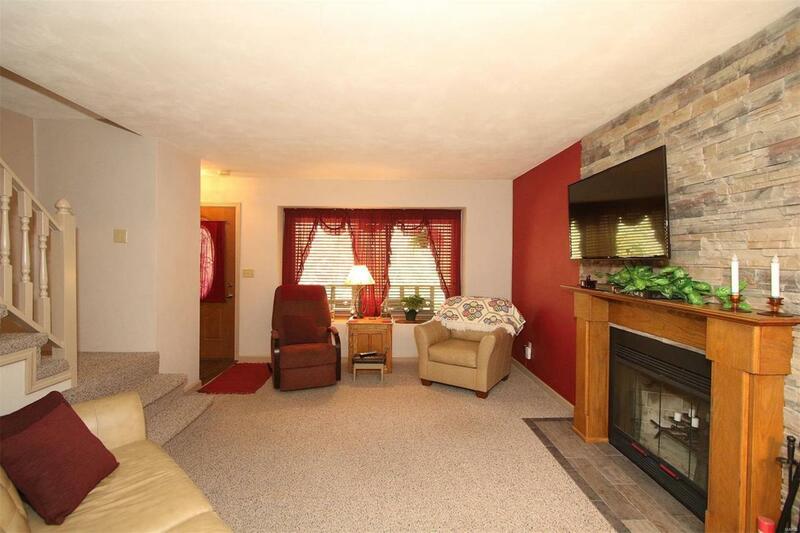 Beautiful, 3 bed/2 bath, cedar sided (cleaned, re-stained & sealed in 12) home w/ finished basement backing totrees & a variety of wildlife, including many deer! 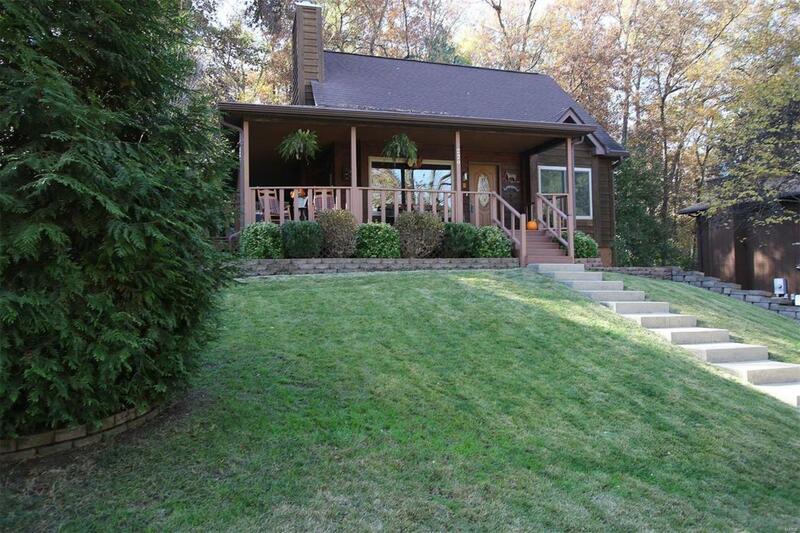 Wide, wrap around porch & back deck to enjoy the outdoors!Even a bed to grow your vegetables! 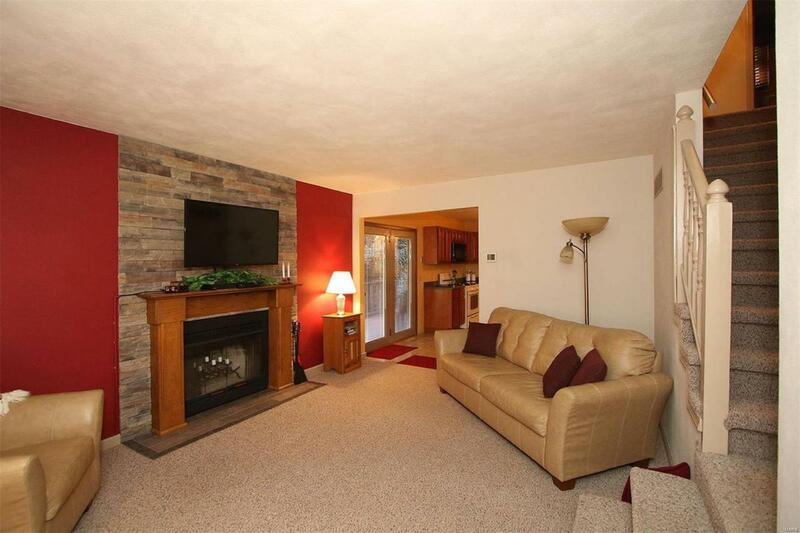 Living room has stone, woodburning fireplace. 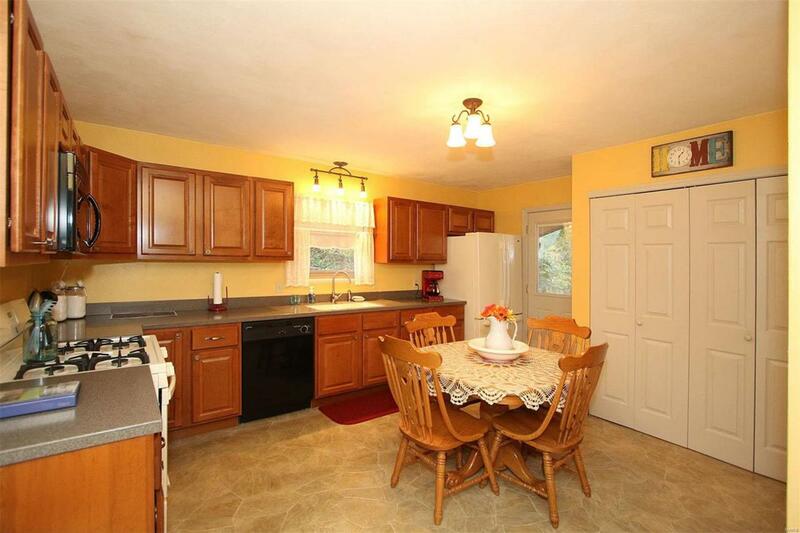 Kitchen was redone in 08w/new cabinets, counter tops, fixtures & appliances. Main floor master opens to master bath which was updatedin 16 with all new fixtures, tile surround & porcelain flooring. 2 nice sized bedrooms (where you can watch thedeer) & full bath upstairs. All new windows in 10, new 6 gutters(with Gutter Helmet) & downspouts in 09. Newretaining walls in 10, 11, & 16. New HVAC & A/C in 13. New entry doors in 13 & new interior doors in 11.Washer/dryer connections replaced & access panel added this month. 8x12 shed w/loft on concrete foundation in09 was repainted in 18. New toilet upstairs in 08-18. New fans upstairs in 13. Chimney rebuilt in 16.